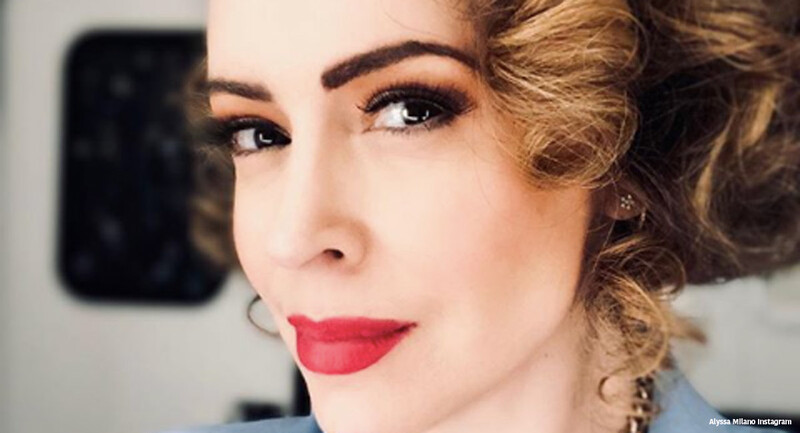 Pro-abortion actress Alyssa Milano took to Twitter on Friday to ask followers to send in their “personal abortion story” so she could share them on her podcast. Her goal, she said, was “to help shine a light on the importance” of abortion. In return, pro-lifers and regretful post-abortive women shared the reasons why they are against abortion. It’s personal and the most difficult decision I ever made. I would never talk about my story to encourage abortion, I would discourage it, so obviously you wouldn’t want to hear my story. And she’s probably right. Milano, like the mainstream media, likely won’t share the stories of women who regret their abortion. Abortion advocates like to pretend those women don’t exist. Those women’s stories don’t fit the pro-abortion narrative. Some women even expressed gratitude for their own lives, knowing that abortion could have meant the end for them and other people they love. Oops, forgot my three adorable nieces as well!! San Francisco late 1973, my mother told by 3 separate doctors at 3 different facilites to abort because she was 39 (ridiculous), Latina and this would be her 6th. Was it racism? “You don’t have to tell your husband.” How many babies didn’t make it in this situation? My birth mother had a D&E Abortion that aborted my twin, but missed me. Her abortion traumatized her. She says if she could go back to when she was pregnant with me knowing what abortion does, she would have made a different choice. Abortion hurts women and women deserve better. Sure. My ex partner aborted our baby without me knowing. One person out of three killed one & led to 5 yrs of anxiety, depression & self loathing for the other two. Struggling to see the autonomy here. Oh and our baby was killed. Have a nice day Alyssa. In my 20s, twice i got different women pregnant. Both times we agreed to abort.we weren’t ready or financially stable. Once more inbmy mid 30s, this time we were ecstatic. It was tubal pregnancy…Sadly that was the last time. Aborting my kids is the biggest regret of my life. Along with her tweet asking for stories, Milano shared a retweet from her Sorry Not Sorry Twitter account that said, “Nearly one in four women in the United States will have an abortion by age 45.” Milano, like other abortion advocates, likes to share this statistic as if it means that one in four women is happy to have aborted her child or that one in four women is in favor of legal abortion. It doesn’t. If this statistic is accurate — and there are many things this statistic doesn’t take into account — the idea that nearly 25 percent of women may have an abortion by age 45 means there are countless women walking around emotionally scarred and feeling broken. Post-abortive women have an increased risk of drug use, depression, and even suicide. How many of those “one in four women” might have contemplated suicide because of their abortions? Milano is also sure to tell women who might be interested in sharing their abortion stories that they can remain anonymous. But remaining anonymous would mean that shouting your abortion isn’t something that women want to do. The fact is that abortion is the taking of a life — your own child’s life. Even if women are acting as if they are proud, at some point – at some moment in time, there is the possibility that they will regret their abortion. If and when that happens, it won’t be the abortion advocates like Milano there to help them pick up the pieces. It will be pro-lifers and programs like Rachel’s Vineyard, which help women heal after the trauma of abortion whether that trauma surfaces on day one or day 2,000. Without pro-lifers, post-abortive women suffering from the devasting effects of abortion would have no place to go. Pro-abortion women like Milano and the organizations that push abortion will simply ignore them, writing them off as collateral damage of a “right” that they seek to protect at all costs. Editor’s Note: If you are struggling with a past abortion, please reach out to Rachel’s Vineyard or Silent No More Awareness.